Bring back to your memory lifestyle that existed before two decades. Now visualize the present scenario. The trends that exist today showcase how people have changed and how keen they are about their dressing today. People are more bothered about the fashion today and there is increase in the purchasing power as well which has been one of the prime reasons for this change. From top to toe they are in tip top condition. Right from the clothing to that of footwear everything is selected crucially. Moreover according to the dress the footwear is chosen and worn. In pants different footwear is worn and in saree different footwear is worn. In other words according to the ethnic wear or according to the modern wear the foot wear is chosen accordingly. This brings to light on how footwear is now setting the new trends among the young generation. The young generation, the college goers are choosy of what they wear. In their life they have complete fun and enjoyment and want to look their best. Therefore they have ample choices in footwear and get some of the latest collection to add to their stock too. According to the colour and the pattern of the dress they select the footwear matching to it. Besides, the effects of online shopping add up fuel to their collection. It is easier to find some of the top brands such as cat walk, reebok, liberty, cartier and many more at an affordable price through online shopping sites like Snapdeal. With unlimited options and greater opportunity youngsters today do not miss the chance of buying some trendy footwear which would help them to set new trends too. Flats, casuals, wedges, heels, cut shoes and many more options of footwear’s are available. It can be finally concluded that youngsters have every kind of option in their collection to match what they wear. I got almost all types of shoes and sandals… But the desire to buy more is always getting higher and higher at my end. As jasmine loves heels it’s very difficult to choose from my collection.. I love them all. 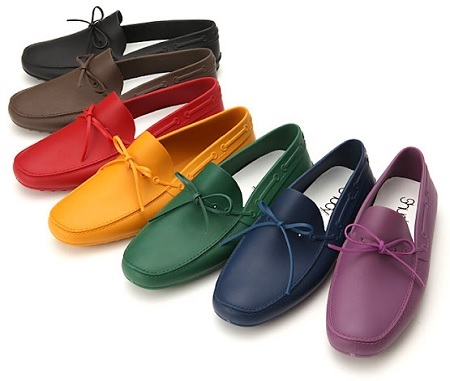 Loafers is my first choice when it comes to shoes followed by formal shoes & then sports shoes. Loafers are the best in terms of comfort & it can be worn on any form of dress code. There have been so many vibrant colours now a days, earlier there were just a few. Nice posts to read! Hello Author, Salute you for the great article as well as types of shoes trends you listed. I find the sports shoes very comfortable during my work hours as i need to run around the place. Must say exactly what I needed. I feel trendy now.